If you’ve read the blurb and any of the other reviews then you’ll already know that this is a story about the Weissensteiner family and their troubled journey through the Second World War. I’m not usually drawn to stories like this because I think I have a pretty good idea what’s going to happen. A Jewish family, Hitler’s revolting regime and the horrors of the Holocaust can only have one dire outcome. It’s a bit like watching a film about the Titanic - you know the ship’s going to sink so why put yourself through it. I was so wrong to make this assumption. It seems paradoxical that a book chronicling hatred, fear, loss and death can be uplifting, but The Luck of the Weissensteiners left me on a high. This is a story about the best human qualities: love, generosity, trust, faith and hope. Christoph Fischer has brilliantly combined emotive fiction with detailed, historical facts to create a powerful and engrossing story. Although I finished reading it five days ago I’m still affected by its message and still charmed by many of its characters. I work regular nightshifts and my sleep is precious, but this book often kept me up well past my bedtime. 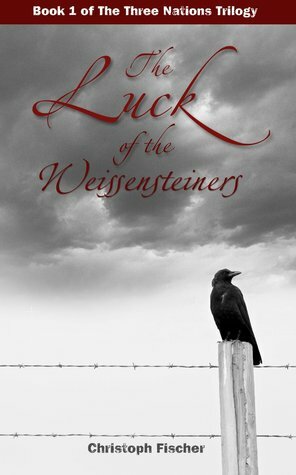 Sign into Goodreads to see if any of your friends have read The Luck of the Weissensteiners. Great review. We need more upbeat reads like this today.